Simon Montgomery’s wife returned to the trailhead, after a grueling morning of hiking one of Colorado’s “fourteeners,” when she saw a group of hikers heading it. It was after noon. If you don’t know what’s wrong with this picture, you need the Colorado Mountain School. And even if you do know (it’s dangerous and downright ludacris to start a hike up a mountain that’s 14,000-plus feet above sea level that late in the day due to afternoon storms and lightning risk), well, you probably need the Colorado Mountain School, too. The Colorado Mountain School, based in Boulder, is the ultimate hook-up for outdoor adventure and education. It offers everything from workshops to guided climbing and skiing trips, for adventurers of all experience levels. But this isn’t just your regular outdoor guide crew. This nearly 40-year-old company is the largest guide service in Colorado and claims to have more American Mountain Guide Association-certified guides than any other guide service in the state. (Spoiler alert: All of the guides here are certified and/or trained.) The entire school is accredited. This school also claims to have more guides with the prestigious certification from the International Federation of Mountain Guides Association; there are about 100 guides in the whole country with this honor. As for education, the school boasts the “most complete” outdoor climbing and skiing curriculum in the country. It is the country’s No. 1 avalanche course provider for the American Institute for Avalanche Research and Education. So. Much. Cred. But what’s that mean for travelers and adventurers? It means high-quality outdoor education and excursions that will keep you safe, as well as entertained, says Montgomery, head of growth and marketing for the school. 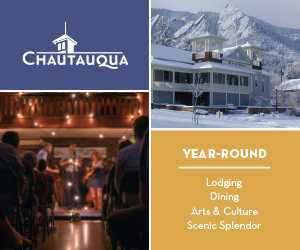 “The people here both in 1981 when it started and currently have a true passion to be in the mountains, and we want to share that passion with friends, family, neighbors and visitors,” he says. Wonder which climbing route to tackle next, or where to go cross-country skiing in the hinterlands? 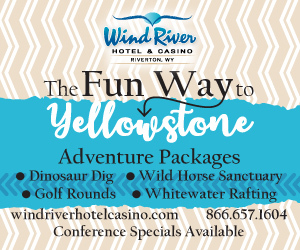 Staff here will offer tips and advice, whether or not you book an outing. The school even puts on regular, free avalanche safety clinics across the Front Range. “We just want to make sure people are safe, having fun, learning and pushing themselves, and we’re here as a resource when they’re doing that,” Montgomery says. 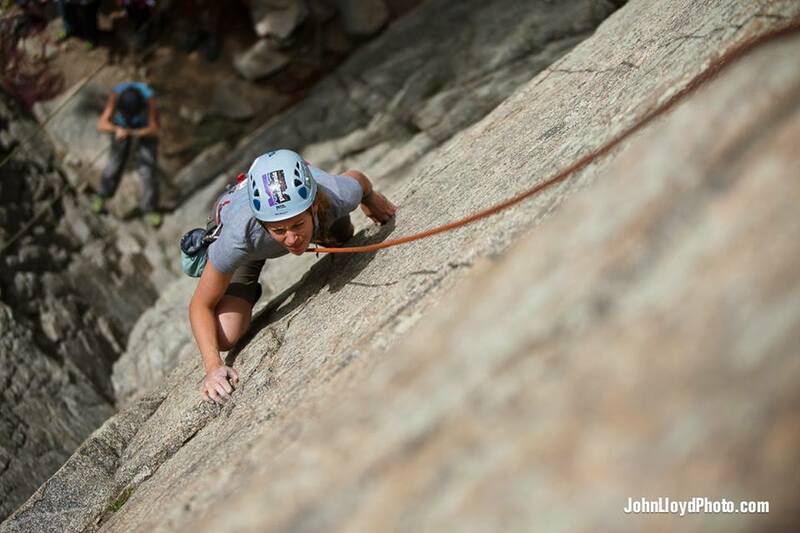 People visit the Colorado Mountain School if they’re experienced and want to expand a skill set, or if they’re first-timers and don’t have a clue where to start, Montgomery says. 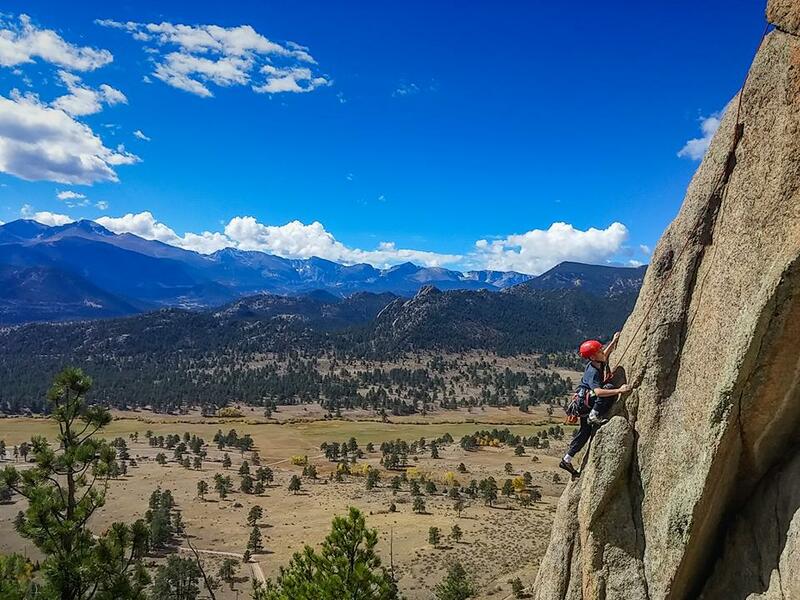 Whether you want to climb the Flatirons and not get stuck, you want to learn skills to climb a sheer-faced, pro-level “big wall” or you want to safely make it to the summit of Longs Peak in Rocky Mountain National Park, the school can make that happen, Montgomery says. “People who visit us want a companion to push them safely to achieve their goals and reach new heights, literally,” he says. The Colorado Mountain School runs educational programs and experiences outside of Colorado, from climbing in Wyoming and Europe to backcountry skiing in Alaska. Attend a free, one-hour avalanche awareness clinic across the Front Range, starting every October. You can find these classes at breweries, mountaineering stores and event centers. 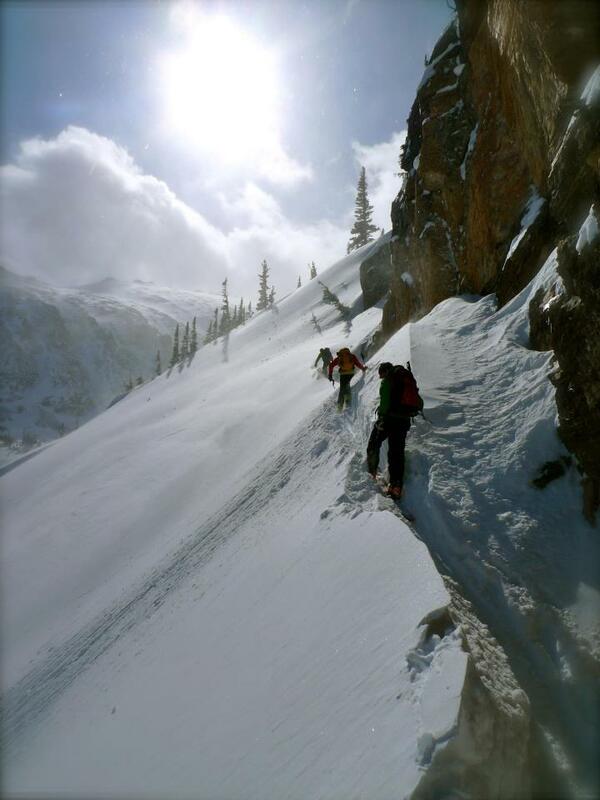 Find friends to go on an adventure with in the Colorado Mountain School’s online forums. 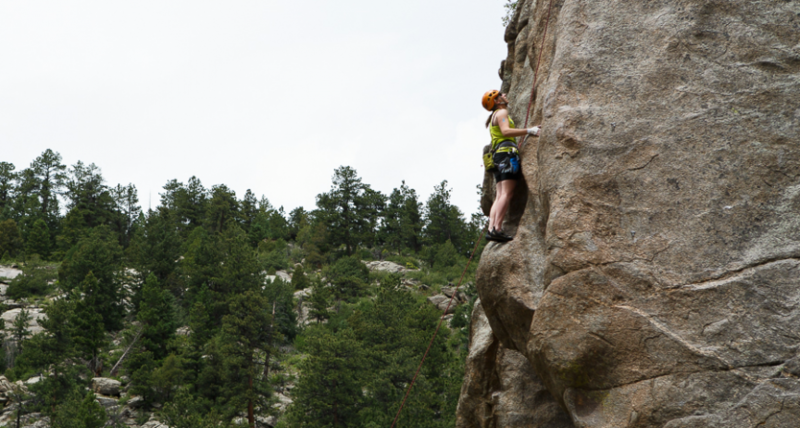 Get a custom rock-climbing itinerary for your family (even with kids). 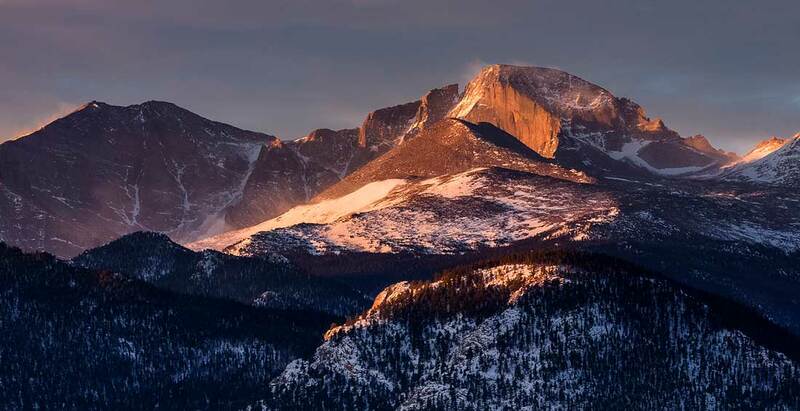 Even with more than 50 fourteeners (mountains taller than 14,000 feet), Longs Peak stands out among the rest. Literally. This peak, clearly visible from Boulder County, towers over the Front Range. It’s the northernmost fourteener of the Rockies range, and unlike some of the others, it’s not surrounded by other high-elevation peaks. This makes Longs stand out tall and bold on the mountain range. From the summit, it also makes you feel like you’re standing on top of the world. But hiking Longs Peak isn’t easy. It’s a long day (pun intended), it can be difficult to find a route and the 12-mile round trip can take upwards of 12 to 16 hours, with lots of elevation gain. Not to mention technical components. The Colorado Mountain School runs guided hikes up Longs that actually rope you up on certain areas with steep ridge lines to assure safety; it ends up being a mixture of hiking and rock climbing. That’s also why many hikers choose to hike with certified mountain guides, he says. Trained guides can also identify early signs of altitude sickness, and they know when to turn back. That’s an important skill: knowing when to bail. “We want to make sure we provide a rewarding and safe experience,” he says. 1. Prepare yourself. When you think you’re prepared, prepare yourself again. Drink plenty of water. 2. Start early. Get started early while it’s cool and before the thunderstorms roll in, around lunchtime. Be down the mountain by noon. 3. Do research. Call the school and ask for advice. Visit mountaineering schools and talk to staff and read guide books there. Ask for “beta” (that’s climber-speak for insider info) on certain spots. 4. Capture the beauty, and then stop. “Bring your camera or charge your cell phone to capture that moment. 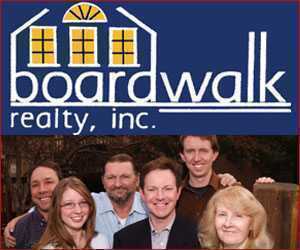 But don’t spend too long just looking through the viewfinder,” Montgomery says.